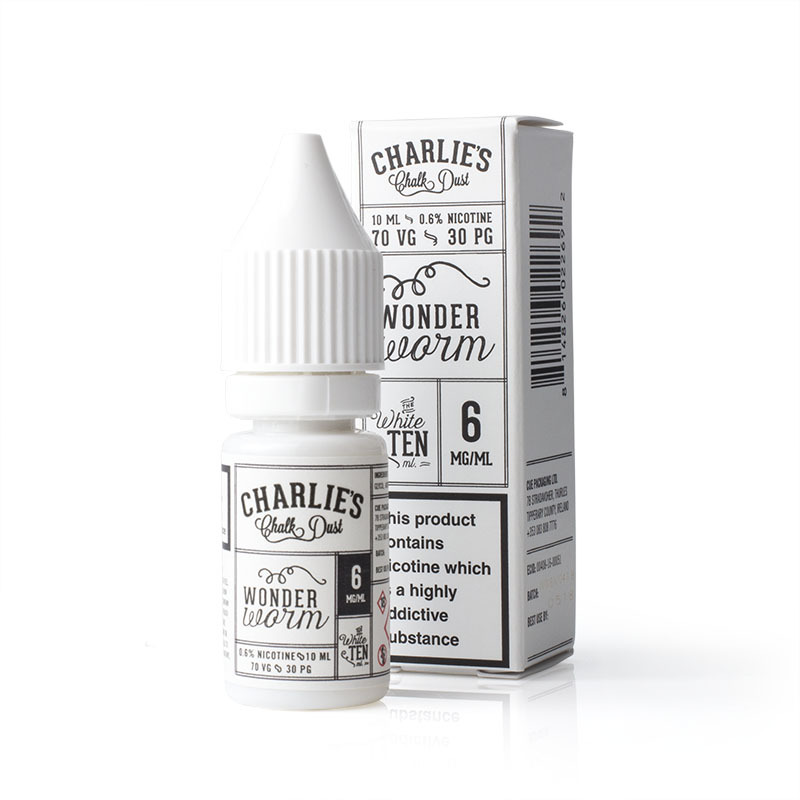 There's sweet, then there is Charlie's Chalk Dust Wonder Worm E-Liquid. Mimicking the taste of gummy worms and sweet tarts, this e-juice is for those with a sweet tooth! Charlie's Chalk Dust apparently started with some hot dogs, a distaste for cab drivers and a potential spiritual intervention. How much truth is in this story remains to be seen, but the results are the same; creative and inventive flavours that create a smooth vaping experience. 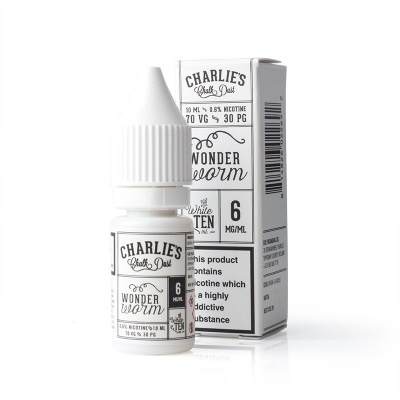 Wonder Worm E-Juice comes in one size and three different strengths. Some of our stock of Charlie's Chalk Dust Wonder Worm is due to expire soon. In light of this fact, we are offering the affected stock with a discount! This offer is only available while stocks last, so act quickly to save! If you are after an explosion of sweetness, this is the e-liquid for you. A blend of crystallised gummy worms combined with psychedelic sweet tarts results in a sweet, sugary delight that will tantalise your taste buds and leave you wanting more...after all, you're my wonder wormmmm.